As a 12 year old child from a competitive background with Lambeth Swimming Club who would have thought all these years later I would make a career teaching parent and babies, pre-school children, school children, adults, disabled adults and children, taking Aqua Aerobic classes and still be running a successful Swimming Club after 26 years and still going strong! Annie spent many years working in the Motor Trade, her last role being employed as a Senior Manager with Alphabet GB Limited part of the BMW Group. Annie started her swimming teacher training at Crystal Palace and then had a great opportunity to further her development and training (Full Swimming Teacher and Parent and baby training, Health and Safety, First Aid ) under the then President of the Swimming Teachers Society Dee Gladden, who since has become a very close friend. Dee now owns her own successful health and safety/first aid training company. Annie loves to try and keep fit and healthy! Yoga and Pilates are a favourite! 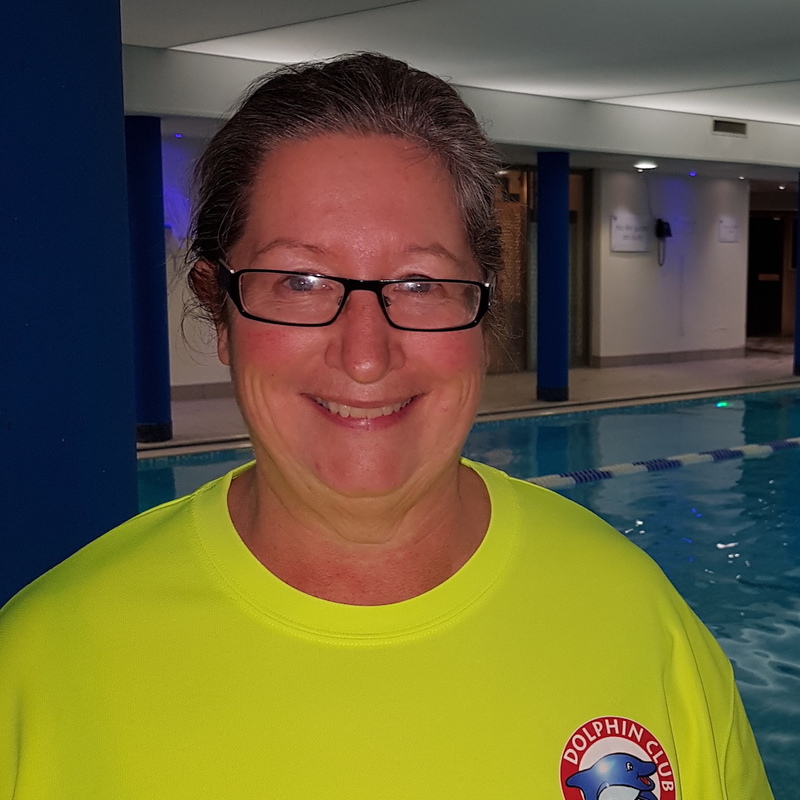 Shannon started swimming at a very young age and swam for Ealing Dolphins Swimming Club for a number of years. She also completed her rookie lifeguarding courses before she became a fully trained lifeguard at 16. Shannon became interested in teaching swimming as she wanted to help others learn to swim so they can enjoy it as much as she does. She currently works as a lifeguard and well as a swimming teacher. She us currently studying towards a degree in Psychology and Criminology. In her spare time she enjoys volunteering and helping the community as well as socialising with friends. Lena has loved swimming from an early age, getting into a synchronised swim team at school. She teaches every day and when she's not teaching she loves to take her nieces swimming instead! In her free time, Lena likes to spend time with her family and friends and do new things, from spa days to cocktail evenings. Lena is a fully qualified Level 2 Instructor and is also a qualified beauty therapist. Sheila is a fully qualified Level 2 Instructor. Sheila has always had an interest in the technical side of swimming since she became a competitive swimmer at the age of 10. When her three children were having swimming lessons, she had the opportunity to take a professional teaching qualification (Level 1). She enjoyed the teaching and a year later achieved her Level 2 qualification. 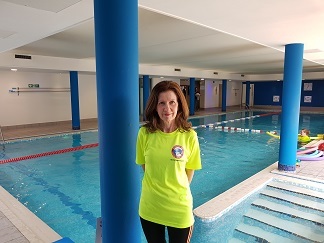 She has been teaching for well over 20 years and loves it as much now as she did when she first became a swimming instructor. Sheila and her husband enjoy weekends away and plan to explore more of the UK. She also enjoys baking and knitting when she has time. Sophie is a fully qualified Level 2 Instructor. Swimming has been a passion of Sophie's, ever since she was a young child. From swimming with the same club for 15 years, to then swimming for Maidenhead and Thames Valley Royal Air Force, where she won numerous silver and gold medals. Sophie gets a feeling of pride and absolute joy when a child finally learns how to swim with her. She has been with us for over 3 years and also helps with our administration. She also enjoys weightlifting. As well as swimming, she enjoys going to the gym to do weights. 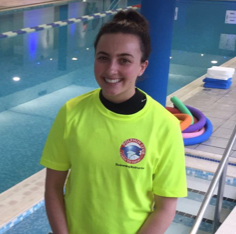 Swim teaching was a natural progression for Amber - she started assisting in her early teens and completed her level 1 and 2 as soon as she could. 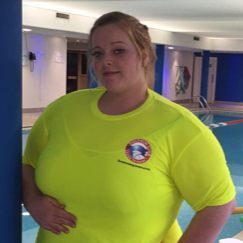 Amber is now a full time swimming teacher, teaching all ages from babies to adults. Sian started off swimming as a baby and by the age of 4 was able to swim independently. By the time she was 10 she swam her first mile (that's over 80 lengths of the Marlow Club swimming pool!) and gained her Complete Swimmers Award. Her love for swimming continued throughout her time at University where she became a qualified lifeguard and Level 2 Swimming Instructor. She now works at The Marlow Club on a Saturday and also works as a Graphic Designer during the week. She likes to spend her free time playing for her local netball team, going to the gym and travelling the world! Ed has worked with us for some time now but mainly in a Life Guard capacity at The Marlow Club (although a qualified Instructor!) He had a major operation on his ankle which stopped him from teaching but now is recovering well and it is great to see him in the pool on a Wednesday and Thursday. Ed has been swimming since the age of 6 and instantly fell in love with it, leading him to competing and and instructing. "I also enjoy football, yoga and when the weather's nice, cycling. I have learnt to appreciate the more sedate activities as I have got older and appreciate a good meal out with friends or a good film at the cinema." Lily is a fully qualified Lifeguard as well as a Swimming teacher. Lily recently completed an extended diploma in performing arts and is currently studying photography at college. She also loves dancing in her free time. Lily used to swim with Dolphin Swimming Club at Montem Leisure Centre in Slough (not connected!!) at the age of 13 and decided that she wanted to become a swimming teacher at the age of 16. She first started by becoming a Lifeguard as she loved the environment. Craig has been involved in swimming teaching since the age of 15 after loving a work placement. After a couple of years he completed his Level 1 course and soon after became a lifeguard. After a number of years away with going to college, and then to Leeds to complete a degree in media, he found his way back to the south of England and teaching swimming. He took his Level 2 course last year and is delighted to be able to work for a number of different places. Craig can honestly say he has found what he wants to do for the rest of his life. Apart from swimming, he enjoys running and football. Craig plays once a week and supports the Wycombe Wanderers.